BUJUMBURA July 19th (ABP) – The first Deputy-President of the Republic of Burundi, Mr. Gaston Sindimwo, enhanced, at the Mpimba Central Prison, the ceremonies marking the celebration of the Nelson Mandela International Day where he launched the campaign to promote the rights of inmates under the theme “Altogether with our fellow detained citizens”. In addition, the Deputy-President of the Republic gave the inmates of Mpimba two tons of rice to help improve their prison conditions. 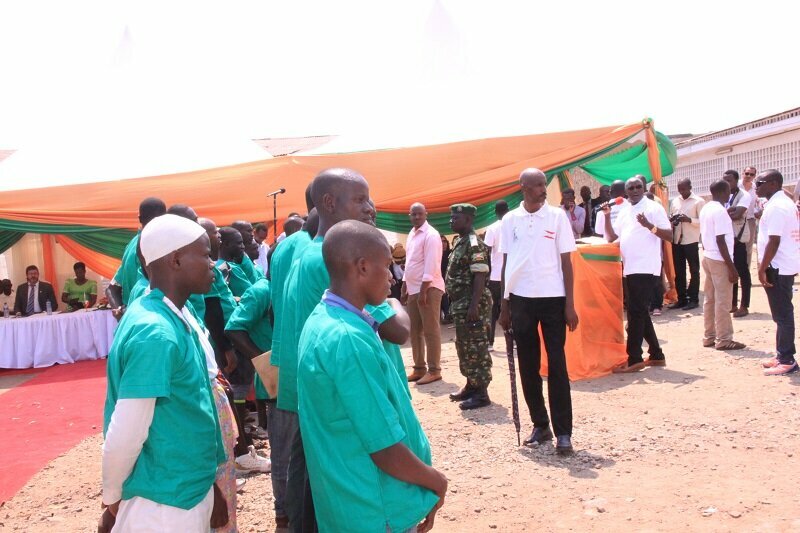 The choice of the Mpimba Central Prison for the Mandela Day celebration was due to the fact that during his first visit to Burundi, the renowned defender of inmates’ rights, Nelson Mandela, visited that place of detention, said Mr. Sindimwo.On that occasion, Mr. Sindimwo released more than 40 inmates, some of whom served time and others who had benefited from the presidential pardon six months ago. He called on the authorized services to ensure that the law was rigorously respected, deploring the fact that the inmates who serve the sentence are not immediately released and that the inmates who have benefited from the presidential pardon have had to wait a long time for their release. He took the opportunity to demand that parole be quickly applied to inmates who have already served a quarter of the sentence and whose behavior is beyond reproach. In her point of view, the Minister of Justice and Seals Control, Ms. Aimee Laurentine Kanyana, noted that the government spares no effort to establish respect for the judiciary and the independence of the judiciary. In addition, she informed the public that a permanent legal commission is at work for the regular monitoring of prison and judicial cases of inmates. For her, imprisonment is an exception; hence the introduction of a law governing community service for certain sentences. Even inmates affected by that measure will have the chance to leave that prison environment to do that work. In addition, she noted that the payment of an amount equivalent to the imposed work is planned. 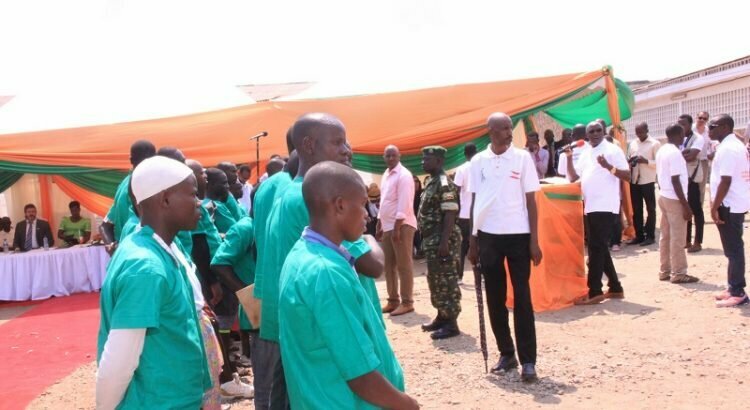 The Deputy Head of the delegation of the International Committee of the Red Cross in Burundi, for his part recalled that inmates are citizens like so many others and that they are worthy of respect and protection. In the same way, the Director General of Prison Affairs, Mr. Gervais Hajayandi, said that that day is an opportunity to self-assess to see what has been done for the inmates, just like Nelson Mandela, the great witness of prison life. Former inmate Emmanuel Manisha testified about the hard life he led in prison while he was jailed unjustly. He called on law makers to really use the laws and be quick in the handling of cases, so as not to keep innocent people in prison for long.